We contracted Nathan Waller of Capital Building for a major extension and renovation project on our house in Manly. The first thing to mention about Nathan is that he has a very positive, outgoing and approachable personality, which makes him a pleasure to deal with regarding any work related issues, and easy to have around the house - especially considering the fact we were living with three children on the building site, our home. To Nathan, there are no problems - only solutions, and this can-do approach has proven invaluable in a situation where we (the clients) kept changing our minds. As we have employed Nathan on a cost plus agreement, we are particularly impressed and pleased with his accountability and honesty. We have found Nathan to be mindful of our expenses, and where possible he has suggested lower cost alternatives. Nathan is rightfully proud of his workmanship as a builder and carpenter, and the quality of his work is consistently of the highest standard. He is very knowledgeable in his field, and possesses an important understanding of the various trades involved in the building of a house. Nathan is a great motivator, and keeps his carefully chosen team inspired. His time management and co-ordination of trades people are good. As his clients we appreciate his attention to detail, as well as his ability to communicate well with us and with the architect. Our tenants - who also live on the premises - are exposed to the inevitable noise, dust and general inconvenience generated by the building process. Nathan's diplomatic and thoughtful approach has considerably eased the tension, as he is a good listener and very understanding of others' situation. It is our pleasure to recommend Nathan Waller as a Builder/Project Manager, and we are confident he will do very well in all his future building projects. We chose Capital Building for the renovation of our dilapidated inner-city terrace house after receiving several quotes. We were impressed by the quality of Capital Building’s previous work we inspected and by Nathan’s professionalism. From the outset of our build, Nathan provided clear and constant communication to my wife and myself, and he also worked effortlessly with our architect. Nathan was enthusiastic about our project and was always available to answer any questions we had during our site inspections. Our appreciation also goes to Capital’s builders and tradesmen. They were always courteous to us and our neighbours and provided high quality workmanship. We have already recommended Capital Building to our friends and encourage you to consider Nathan and his team. As architects we needed a builder who could bring to life our challenging design and Capital Building delivered. Out project was for the asymmetrical rear extension of a symmetrical dwelling, as well as a new pool and Cabana renovation. The design outcome, that evolved from the challenges of the brief, resulted in an intricately detailed extension that required a builder who could not only grasp the three dimensionality of the structure but execute the intricate details with precision - all within a budget. Capital Building were co-operative and collaborative to work with and the finished outcome is superb. We look forward to working with them again in the near future. We hired Capital Building to rebuild our home from basically scratch. We have been so happy with their services, they have delivered everything they said they would. They have been professional and on time along the process. They have made building our dream home a really pleasant experience. I have known Nathan Waller through his work as head building contractor of Capital Building on numerous projects we have designed over a period of 2-3 years. Projects included carefully crafted alterations and additions as well as larger complex multi residential project with construction costs between $350,000 - $1,000,000. I am always reassured when Capital Building are the selected tenderer for one of our projects. I know that the construction programme will be well organised and proceed smoothly and that the end product will meet expectations. With Capital Building, the Works progress well, the work is of high standard, the building sites are well organised, safe and tidy. The atmosphere of calm, purposeful productivity is consistent whenever I am on site. The Owners have been very satisfied also with all aspects of the work and Nathan is respectful and informative with neighbours, tenants and occupants alike. Nathan has good rapport with his staff, subcontractors and other trades people on site. His technical and construction knowledge is clearly apparent. The team works well together achieving great results. Nathan has strong project management skills including forethought to anticipate issues, thorough planning plus clear and timely communication. It is always a pleasure to work with Nathan. It is usual to have unexpected issues and concerns during a typical building project. Nathan handles all with a flexible innovative approach. He and his staff are in all situations, highly respectful and amicable. I am very happy to recommend Capital Building and Nathan Waller. Please call me if more information is required. I selected Capital Building for our renovation because right from the start Nathan demonstrated his efficiency and flexibility. Nathan is a good communicator and took the trouble to ensure that I was always kept up to date and informed on the progress of the building work. He also had suggestions and ideas which were practical and useful to me as a first time renovator. He is punctual and organised and was always well prepared for our onsite meetings. We have now worked on two more projects with Nathan and I would not hesitate to recommend Capital Building to anyone. This was our third renovation and the 2nd time we had used Nathan and Capital Building. To be honest, after the first job in High Street, we never seriously considered using anyone else. This project was much bigger and more complicated together with a heritage listed site that needed more careful planning and creativity. From conception phase through the complete build, Sophie and I can't speak highly enough of Nathan and his team. Exceeding expectations on a build must be near impossible but whether it was quality of workmanship, care and attention to detail, responding to changing ideas and briefs, dealing with unexpected scenarios - there are many in an old house from 1895 - the team never let us down. Nathan is an excellent project manager and as owners who are very time poor, this makes a huge difference. We literally didn't need to arrange anything and when deadlines loomed, we knew exactly when these were and what the consequence was. Organising tradesmen and guaranteeing their workmanship is difficult no doubt but Nathan appears to do both with ease! We made the usual number of changes throughout the build and Nathan always offered suggestions and solutions to problems or choices. If there is a solution then Nathan will find it. Renovating a house over a 12 month period is a huge investment in time and money. Entrusting this investment to Nathan gave us the level of comfort necessary to go ahead with confidence. The result is stunning. As importantly, Nathan's engagement and consideration didn't finish with the final invoice and building certificate. Any last minute changes or alterations were dealt with as quickly and efficiently as at anytime through the build. Hopefully we won't be renovating for a few years! If and when we do, Nathan and Capital Building will be our choice no doubt. I have found working with Nathan to be nothing but positive. He is extremely approachable, always timely in his responses to questions and always describing options and trade-offs in clear unambiguous terms so that decisions made by me were well informed. Capital Building always provided first class service. Documentation, whether sketches, plans, workers' timesheets, and accounts, werealways complete and accurate. The work across all trade categories was of high quality and very well tuned to our level of budget. Our project progressed according to schedule, with Capital Building re-arranging tasks to account as far as possible for the vagaries of weather. All major milestones occurred as planned by Capital Building. Any changes that we requested or were required by circumstances were addressed promptly by Nathan and Capital Building. He was prompt in providing detailed cost and schedule impacts of any changes; once agreed by me they were always actioned. Our communication experience with all parties associated with Capital Building, from Nathan, through Site Manager, to tradesmen was excellent. They would always respond promptly to telephones messages, SMS, and email. All staff, without exception were articulate and courteous. Capital Building and its subcontractors' technical knowledge could not be faulted. Their technical solutions were always optimal with respect to budget and schedule. The project completed by Capital Building involved the renovation of an 80 year old house that had been pretty well untouched for over 35 years. Capital Building met the challenge of fulfilling all the objectives within our budget and within our time constraints. I would not hesitate to use Capital Building again for future building/renovation projects and I unreservedly recommend them. I have recently had the pleasure of working with Nathan from Capital Building on a residential renovation to a double storey house in Owen Street, North Bondi. Until now, I have not worked with Nathan before, however Nathan came highly recommended by our Client's friend who had recently completed doing their renovation. The Owen Street project was a medium size renovation which incorporated demolition to the rear of the existing house, rebuilding a new open plan Living, Dining and Kitchen space, new Laundry and reconfiguring level one to create a new Main Bedroom with small Ensuite. This project was made most enjoyable for me as we (Client, Nathan and I) worked together as a team. All works were carefully planned and built within the given time frame. The project was executed on a very tight budget and at all times Nathan has been conscious of this fact. With every project there are variations and these were dealt with extreme fairness and consideration. Throughout the project, our Client was informed of the project cost's and progress which allowed them to budget accordingly. Nathan has a good eye for detail and is always ready to make an informed suggestion. He is highly capable and very organised with a good team under his employ. Nathan has excellent communication skills, he will very quickly understand a situation and find a suitable solution. With this been said, Nathan is meticulous when it comes to project details and their coordination. At the end of the day, there are very few projects that I have been involved in where at the end of the project, there has been no defects list needed to be issued. Nathan is highly competent in what he does and it was truly wonderful working with him. I have no hesitation in recommending Capital Building and look forward to our next project together. We recently completed a building project with Nathan Waller and Capital Building that was a very positive experience. The project was a renovation on a terrace house that included demolition of the rear of the structure and addition of a two-story extension including a kitchen, 2 bathrooms, laundry, family room and bedroom. Our situation was complicated by the fact that we live in New York and would only be able to be onsite for a 4 week period in the middle of the 4 month renovation. Our primary criterion when choosing a builder was their ability to communicate. In our evaluation of 4 potential candidates, all with well-documented quality records, Nathan stood out in his responsiveness and ability to communicate concepts, potential problems, alternative approaches and honest evaluations of the work ahead. Once the work had begun he quickly earned our trust through presentation of options. When we encountered the inevitable surprise events all options were presented with clear cost estimates, details of impact on additional work during this renovation, and possible effects on potential future extensions. Nathan made the task of coordinating the various subcontractors seamless for us. He worked with contractors in his network and others that we had engaged in the same way. Also in our absence he assisted in coordinating the vendors that we had purchased fittings from. The project was completed within the projected time range. There were few unexpected events throughout the renovation and Nathan was able to guide us through these in a professional way that demonstrated his experience and knowledge. At the end of the project we felt we received a high quality renovation for an honest and fair price. Nathan is a very professional, level-headed and personable builder to work with. We would have no hesitation in engaging Nathan's services again or recommending Capital Building. Please feel free to contact us with any questions. It has been a fantastic experience working with you, and thanks for all the help and advice along the way. I would certainly recommend your services to anyone embarking on development or renovations. At some point hopefully soon, we would like to do another small job and I will call you to hear your thoughts on the matter. Thanks again for everything, and once we are all packed away, it would be great to have you over a for a beer and let you see the end result. Just a quick note to say thankyou for you and your team's work on the 2nd part of our renovation in Manly. As you know, we had suffered from a lack of communication, unreliability and unrealistic timeframes from our previous builder. You restored our faith! The quality of workmanship, problem solving and willingness to go the extra yard were really appreciated. The job was finished on time and within budget. An all round great job and we would recommend Capital Building to all our friends every time. We engaged Capital Building to undertake extensive renovation work and are very satisfied with the outcome. We found Nathan and his team to be friendly and efficient. But more importantly, they were innovative and certainly added enormous value to the project - proactively seeking ways to help us stay within our budget and maximise the benefits of the design. We really enjoyed working with them and enjoyed their professional and supportive approach. We would not hesitate to recommend Capital Building. Having just been through our first home renovation, we can highly recommend Nathan and the team at Capital Building. Being complete renovation novices meant we had no idea what to expect but from the outset, Nathan has been more than happy to walk us through every step along the way to ensure we were completely comfortable with the process. Whether it was taking the time to explain every aspect of the contract or to explain any necessary changes to the plans throughout the job, Nathan's honest and up-front approach gave us the confidence that the job would be completed to the highest quality. Capital Building certainly delivered in that regard and the quality of the workmanship was absolutely outstanding. We couldn't be happier with the end result and it is actually better than we had envisaged. The entire team at Capital Building has been great to deal with, from Nathan down to his project manager and labourers, to all the sub-contractors used. We wouldn't hesitate to use them again for any future renovations! Nathan was recommended by our architect as she had worked with him and considered his attention to detail, ability to re-create her vision, communicate with the home owner, show the detail in his accounting and solve problems on the job would add the value on our job. His natural intelligence, enjoyment of his job and friendly nature added to our experience. Prior to the job, during the 5 months where we lived within a building site and in the 2 years subsequent to the work Nathan has responded immediately to any concern of ours. He has shown knowledge that has helped uncode the building process and informed us so we can make decisions. We have been confident that the work is to the highest standard. I saw a wall come down and be rebuilt when Nathan detected it was not to standard. The detail within our house is enjoyed daily. Nathan is calm, flexible and helpful. Nathan has an ease of being able to move between the teams of people doing the building work and being able to clearly identify what was required of me the home owner so that the worksite created a happy unit. We lived in temporary conditions onsite and never felt uncomfortable, the team happily got on with their work and our co-existance was untroubled. I missed them after they left. I always felt well managed. Our invoices were detailed and regular. It was a smooth process of daily activity. Numerous times after the completion of the job Nathan has quickly recalled detailed parts of the job. These issues did not directly relate to Nathan's work however his knowledge either helped to reassure me or direct me. We both found the quality of craftsmanship, timeliness and flexibility of the work to be of the highest standard. Beyond this, and to be honest this is where most builders let themselves down, your communication during and follow up following the job was first rate which alleviated much stress during a time which can be quite stressful. Again thank you for taking such care and rest assured I have been and will be talking highly of Capital Building in the future. 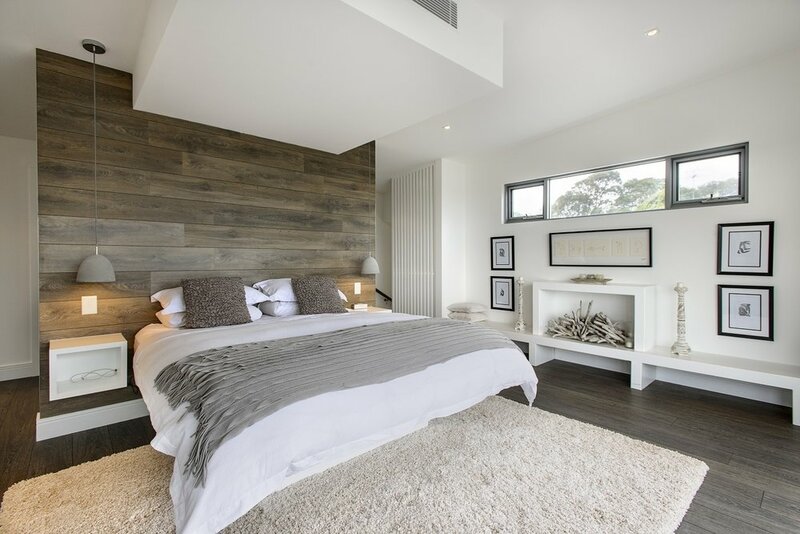 Capital Building was responsible for a high quality, complex renovation of our home in Manly. The quality of the work was first rate and the service provided by Nathan was similarly first rate. The cost of the work was very reasonable given the complexity and high quality that we sought and received. The work was started and finished on time. Nathan and his team responded to a number of very complex and tricky issues that arose because of the nature of our home and land in a manner that made my wife's and my lives very easy and we will forever be grateful for this assistance. We value Nathan as a friend, will continue to recommend him to our friends and have no hesitation in recommending him to others who are planning new homes or renovations. Capital Building were an extremely professional and efficient outfit. As a first-time renovator, I required guidance and advice on everything from structural issues to styles of door handles. At the outset of the project, Nathan Waller, the company's principal, provided me with detailed plans of proposed features and fittings, and prepared a fully itemised (and ultimately very accurate) costing for the project, together with all the necessary paper work and insurances. Nathan was always accessible and flexible in his approach to the project, and co-ordinated the timing and management of other trades, such as plumbers and tilers, effortlessly. Not surprisingly, given the general professionalism of their approach, the workmanship on all aspects of the renovation was exceptional. We still receive positive comments from friends that view the refurbished apartment - especially other builders! Capital Building came highly recommended to me and certainly lived up to the reputation. My renovation project was done on a Cost plus basis. The project came in on time and was completed slightly under budget. The renovation work is of an excellent quality, and any follow up items have been handled efficiently and to the same high standard. Nathan Waller is a true professional and was a delight to work with. I would happy to discuss this reference further if required. Nathan Waller from Capital Building was a great choice for my building work. He gave me some very good ideas on what could be achieved. He was always punctual (which I very much appreciated). He always explained in layman's terms the procedure of work and the workmanship was first class. Most importantly, I found Nathan very easy to talk to, he listened carefully to my needs and wants, which I feel is of utmost importance. I would have no worries in recommending Nathan for any building work. I was engaged on a project to provide Contract Administration services for my clients. After a detailed Tendering process, Nathan Waller fromCapital Building was selected as the successful builder from two others. I had never dealt with Capital Building before so I was keen to ensure that the work carried out was of a high standard for my clients. I have to say I was pleasantly surprised in all aspects of the project. Their documentation and administration during the construction was of a very high and professional standard. The quality of the work performed exceeded not only my own expectations but also the client's expectations. Nathan went to extreme lengths to ensure the clients were kept up to date with regular on site meetings and performed additional work which was outside the scope of works. This was done simply because he wanted the finishing touches to meet his own high expectations. This attitude and approach from builders in wanting to achieve excellence in their own work is very rare. I have absolutely no hesitation in recommending Nathan and his team to anyone who is looking for a builder. We are Architects in the eastern suburbs of Sydney and have been working with Capital Building for a couple of years now, they have built and completed a number of our projects with no hassle at all. We always get great feedback from our clients and the quality of the job is a very high standard. For most people the construction period is one of the most stressful stages during a project and from our experience Capital Building makes it a very enjoyable process for the client and the Architect. Randwick – Carrington Rd Capital Building completed the renovation of our 1880's terrace. They restored and renovated the original parts of the terrace and built a new structure to the rear of the property. Nathan Waller, Capital Buildings owner, brought to the build a highly skilled, well organised, friendly and attentive team. Nathan is a great manager, communicator and trouble-shooter which kept our first renovation moving forward in a smooth manner - finishing on time and on budget. Capital Building exceeded our expectations with their attention to detail, high quality of finish and level of care. We could not recommend working with them more. We engaged Nathan Waller of Capital Building to carry out extensive renovations and a first floor addition to our home in Randwick. Capital Building was selected after a tendering process involving two other builders. We felt that Nathan had gone that little bit further during this process to ensure that only the best tradesmen and products would be used. We remained in the house during construction and the effort Nathan’s team went to for our comfort was considerable. Nathan went out of his way to ensure that we were happy during all stages of the process. The work itself was completed to the highest standard and within the estimated completion date. We are more than happy with the end result and would have no hesitation in recommending Capital Building and would certainly engage them again. You can tell a lot about a builder by the manner in which he keeps his site. I worked with Capital Building on an extensive rebuild of a home in Vaucluse and can report that the site was always neat, tidy and organised. Nathan and Bettina's team are punctual, polite, cheerful and respectful which is a breath of fresh air in the building industry. Capital Building delivered extensive knowledge and professionalism to the job and deadlines and budgets were maintained. Forethought and attention to detail were other valuable attributes. When the inevitable curve balls hit Nathan was able to be calm, cool and collected and most importantly solution focused. The end result was an amazing home for my happy client. I would gladly recommend Capital Building and would be delighted to work with them once again. I reviewed Capital Building halfway through our renovation last year and indicated I'd follow up at completion. We moved in as planned in September so have had a good opportunity to fully appreciate the quality of the job. Nathan strives for an excellent result and is happy to follow up with any minor issues that invariably come up. We're pleased to recommend this company unreservedly. We have engaged Capital Building to do a large renovation on our Family Home. The whole process has been better than we could have ever imagined! We have had such good communication with the Building Team over every single detail and have been treated with utmost respect in the decision making process. Considering we know nothing about Building everything has been explained to us with patience and care. The Capital Team has had a large input to the Design of the home and I really think that input has taken the vision of what we had in mind for our home to the next level, without adding to the cost. In fact, at every step of the way we have been reminded to take costs into consideration and Capital Building has had great input into what decisions would add value and what things were deemed potentially unnecessary. My husband and I were very nervous about undertaking a renovation but this has been such a smooth process as we have felt so supported in the journey. The Quality is second to none and all the Tradesman have been highly Professional. I wouldn't hesitate to Recommend the Capital Building Team for any project.